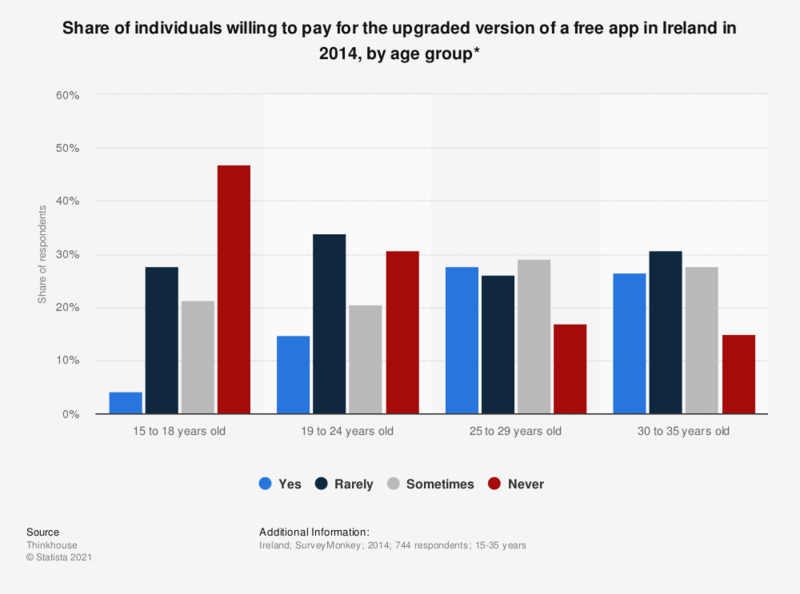 This statistic illustrates the findings of a survey on the willingness to pay for an upgraded mobile app in Ireland in 2014, by age group. During the survey period, it was found that 27.8 percent of respondents aged between 25 and 29 years reported being willing to pay for the upgraded version of a free app that they had liked. "If you liked a free app, would you pay for the upgraded version?" How many apps do you have installed on your smartphone?